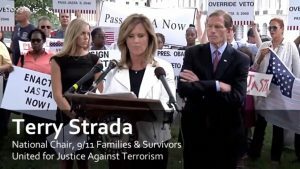 The United States Senate just voted 97 – 1 to override a presidential veto of JASTA and that can only mean one thing. The legislation being proposed is either useless and/or dangerously stupid but helps the senators get elected. In 2011 terrorists hijacked and piloted plans into several targets in the United States murdering thousands of innocent civilians. A heinous act of stupidity touching off events that ended up killing hundreds of thousands of people in Arab counties, who presumably were to benefit from the attack. So, utter failure. 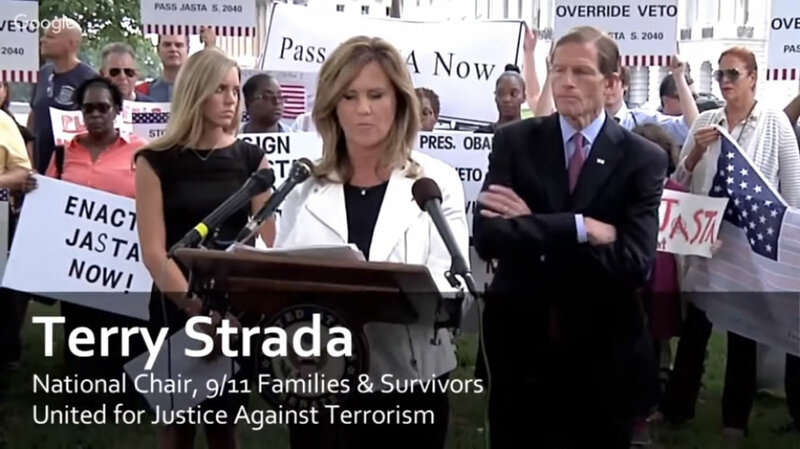 The legislation in question is Justice Against Sponsors of Terrorism Act. It allows United States citizens to sue other nations when they have provided material support directly or indirectly to people who engage in terrorist acts against people of the United States. It excludes any act of war. First off JASTA is probably a violation of our existing U.S. laws. That’s well and good but the real problem is something called comity. Basically, what’s good for the goose is good for the gander. If U.S. citizens can sue foreign nations in our courts then we must certainly allow foreign citizens to sue the U.S. in their courts. Members of Congress acknowledge this fact readily enough and yet vote yes anyway, sigh. Bob Corker, a senator from Tennessee sums up what a lot of others who voted for this nonsense are saying: …concerns about what this bill’s going to mean to America. What JASTA is going to mean for America is a big giant legal mess. Not only will the United States be liable for a drone strike that killed a civilian but so will everyone indirectly involved. Boeing and my friends and relatives who work at Boeing. Hundreds of thousands of lawsuits will follow. Not that any of them have a chance of success but they’ll need to be dealt with in a real way. And of course there’s that zero chance of success business. U.S. citizens can sue Saudi Arabia or another other country all they want. They aren’t getting a dime. It’s completely and utterly useless. I wouldn’t mind useless. When our politicians do useless things it keeps them occupied from doing damaging things. The problem is that this isn’t just useless. It’s damaging. It damages our ability to deal with other countries after we inevitably deny their legal claims against us. This is our country. Short sighted and willing to propose and enact legislation that we know is bad simply to pander for votes. Anytime I see a piece of legislation get a 97 – 1 vote I know it must be awful. Harry Reid of Nevada. Kudos to you, sir. A lone voice of reason. As I read the news, take in the comments, watch the pundits, and listen to friends and strangers something strikes me quite powerfully. What I’m about to say might hurt your feelings. I don’t much care. Never in the history of the world have so many people had it so good. Never have so many had access to astonishing medical care. Access to decent housing. Access to enough food to eat. Gallons of clean water to use and waste. 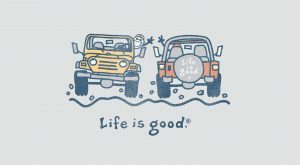 Never has it been so good. Here in the United States we are fortunate beyond our ability to comprehend. We have more things, more leisure time, a greater ability to do as we please, than at any time in the history of this nation. Black, white, atheist, jew, or poor, it doesn’t matter. Right now it is quite likely you have it better than a historically similar person has ever had it. And yet in all the history of people suffering far more than you or I have; I can’t imagine any of them complained, whined, and blamed others more than we do. We are the most Ungrateful Generation. Our suffering is nothing compared to those who passed before and yet we whine all the more. We blame everyone else for problems that fifty years ago were trivial nothings. And we are angry that we get whiny, complaining, blame everyone else politicians? They are us. We are the Ungrateful Many. 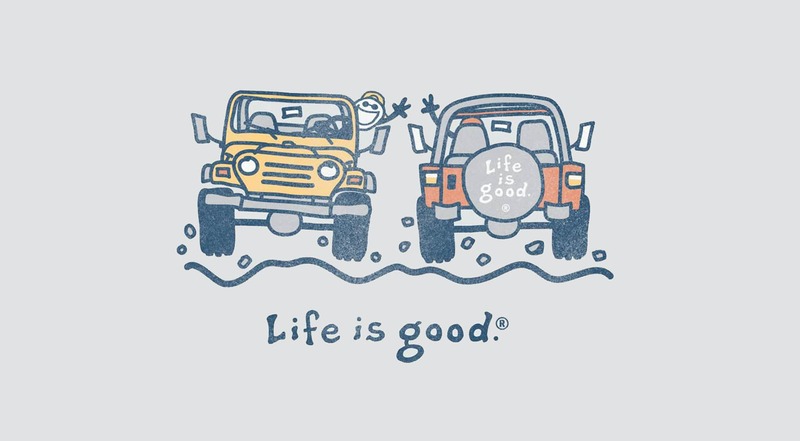 Life is great. Not perfect certainly. The sky is not falling despite what you are hearing. The only crisis is the one in your mind. A great man said it well. The only thing we have to fear, is fear itself. Anyone who spouts differently is trying to manipulate you. Don’t let them. Now go enjoy the bounty of this world, this country. 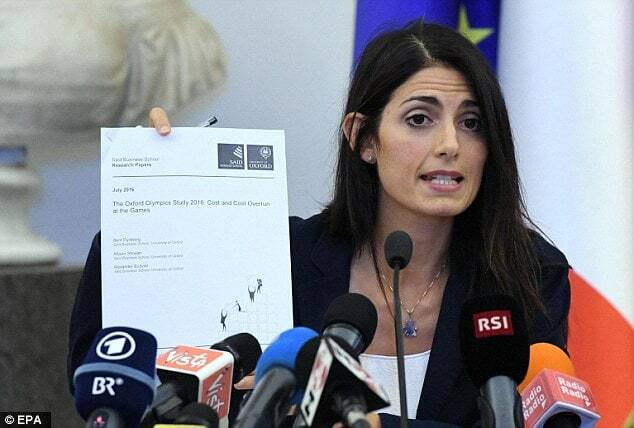 Mayor Raggi of Rome, Virginia Raggi, said no to the Olympics and that’s a brave thing to do. To fully understand why this is a rather astonishing turn of events you should read my blog post on why the Olympics are so lucrative for certain groups of people. I’ll sum up quickly in case you aren’t interested in reading that post. There are three groups of people who make huge sums of money from hosting such events. Olympic Committee members who are bribed by Politicians. Politicians who are in turn bribed by contractors. Contractors who are then paid to build and staff venues, and sell their wares during the event. The money to pay the contractors comes from tax revenue. What we must understand is in this situation Raggi is a member of one of those three groups. Not only is she a member of one of those groups but she associates with many other members. While it is certainly admirable of Raggi to forego the personal bribes she would receive from contractors it’s even more astonishing that she is willing to risk the wrath of her fellow politicians who will certainly attempt to punish her for essentially taking millions out of their pockets. I don’t really have a lot to say about this that I haven’t said before in other posts. Just hearty praise for Mayor Raggi. Well done, ma’am. I’m afraid your political life might well be compromised. That you will face sabotage and backstabbing from your fellow politicians. Politics is a tough game, even more so when you try to do what’s right rather than what’s profitable. Buona fortuna, Mayor Raggi. You have at least one fan here in the states. 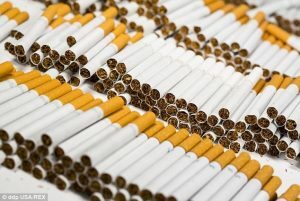 The state of New York has opened legal proceedings against UPS over the shipment of cigarettes to their state from Native American Reservations and it brings up some interesting questions about taxation as a whole. To sum up the legal situation; New York has high taxes on cigarettes. Native American Reservations do not. Enterprising people ship huge numbers of cigarettes into New York from the Reservations and sell them at a discount rate. They use UPS to do this. New York has laws on the books making it illegal to bring cigarettes into New York without paying the state tax. At $4.39 New York has the highest tax rate in the country. A rate so high that shipping from other states and reselling becomes possible and profitable. We live in a Union of States. Outside of Federal Law, these states are allowed to do as they please. New York is free to set their tax rates as they desire. I’m not going to discuss what I think about this rate. The purpose of the rate. Nor how the money is used. What I’d like to talk about is the effect of the tax rate. It’s clear when a state has high taxes on any particular product where another state has a lower tax, we are going see this sort of behavior. In order to prevent people from bringing in product from another state the original state must pass laws making it illegal. Thus we are making something illegal that is going to be impossible to prevent. If there is a profit to be made selling something to a willing customer in which the only entity “hurt” is the state, people are going to find a way. I’m not opposed to New York instituting a high cigarette tax but I absolutely think it should not be illegal to purchase cigarettes in another state, ship them to New York, and sell them. The entrepreneur is making the original purchase, paying the transportation costs, and paying the expense involved in the sale. If it’s still profitable, good for that person or people. New York is losing out on taxes but UPS and other shipping agencies are making money. The people involved in transportation and sales are being paid salaries. It’s capitalism. By making it illegal to bring in cigarettes from other states, New York is acting in an anti-capitalistic manner for no good reason. It’s also better for the smokers in New York because they get a cheaper product. The only “loser” is the state. The state shouldn’t be trying to win. It’s should be trying to provide the best services possible to its citizens at a reasonable rate. If the state sets a tax rate on a product so high that entrepreneurs circumvent that rate; the state must either lower the taxes or accept the consequences. They should not be making the obvious outcome of their misguided tax policies illegal. This is how the power of the state spirals out of control. Laws are passed not to protect and serve citizens but simply to ensure revenue. And if you think that doesn’t cause harm I’d suggest you find out why a fellow named Eric Garner is dead. When you tell the truth, that means that you acknowledge mistakes. Mistakes are part of everyday life. 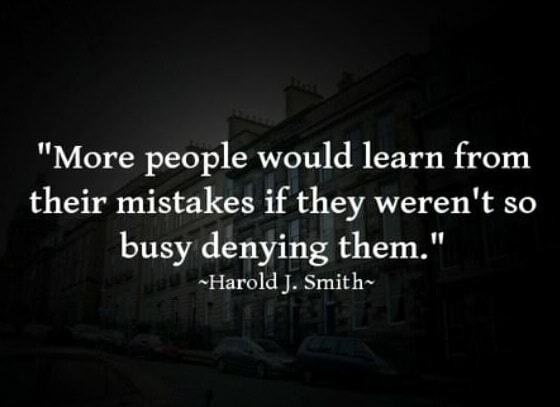 But it’s how you deal with mistakes that ultimately determines success. 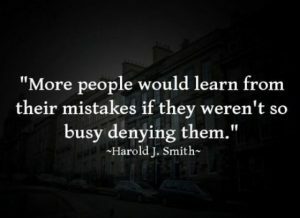 How many of you agree with that statement about how to deal with mistakes? Please pause for a moment and answer the Poll below and only then continue reading. Is how you handle mistakes crucial in future success? Of course not. Deny, deny, deny and success will follow. The person who said that quote it is one of the people running for President of United States of America. There are other ways to deal with mistakes. You can attack anyone who dares point out the mistake. You can pretend you didn’t make a mistake. You can give a fake or halfhearted apology. You can lie and claim you were just joking or being sarcastic. But I want you to think hard about the second half of that quote. How you deal with your mistakes is going to directly effect the success you have following the mistake. So, either Hillary Clinton, Gary Johnson, or Donald Trump said it. Do I need to tell you who? Rams Smashed but Does that Make Me Happy or Sad? As my faithful readers well know, I’m from St. Louis and a big sports fans. I find myself in strange state of mind about the Los Angeles Rams football team that was, for a few years, my hometown team. The Rams moved to Los Angeles for the 2016 season after moving from Los Angeles to St. Louis back in 1995. During their time here in St. Louis I was a season ticket holder and I watched two NFC Championship games and soared in joy as they won the year 2000 Super Bowl. The team was largely dreadful their last few years here in St. Louis reaching mediocrity a few times but never better. They left under rather acrimonious conditions. This, by the way, is the second time my hometown NFL team has left. The Arizona Cardinals were my boyhood team and they left back in 1988. I think that plays a factor in my emotions about the Rams. A lot of people in town hate the Rams and were quite happy to see them get destroyed in their first game back in Los Angeles. I didn’t stay up to watch the game but I did check on the score first thing this morning. 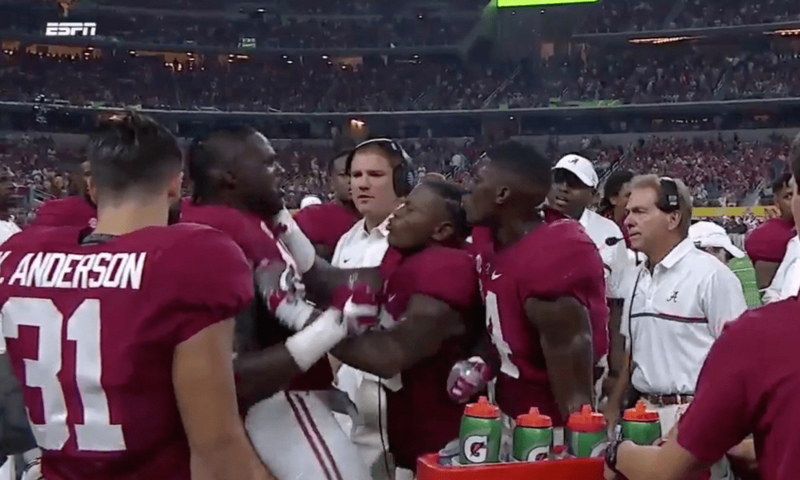 I saw that they lost 28 – 0 and a quick perusal of the box score showed they clearly were outclassed. I found myself somewhat happy about this. Yet not particularly happy. I’m certainly a little sad that they are no longer here. I think a lot of my lack of strong feeling on the subject one way or the other is that the Rams were not my first rooting interest. It’s very nice when you can cheer for one team your entire life. When it comes to the NFL I will never have that opportunity. I relish in my love of the highly successful St. Louis Cardinals and also my love of the less successful St. Louis Blues. If either were to depart for another city I would most likely slowly lose interest in the same way I’ve lost my passion for the Arizona Cardinals over time. With the Rams, it’s more of a meh situation. I’m sad their gone but they were never really “my” team to begin with. Maybe that’s why I’m not relishing their defeat or hoping for their success. I just don’t much care. Too bad. 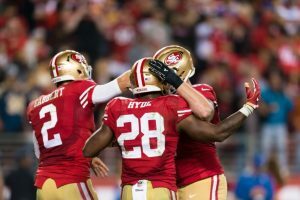 I’d love to have a hometown NFL team again. 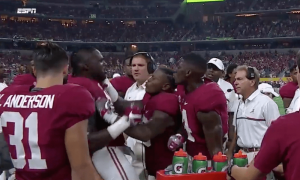 If that ever happens, I’m skeptical, I don’t want someone else’s team. I’d love an expansion team. One to call my own. When Prisoners Work should they be Paid? I just read an interesting story from the Guardian which brings up memories of movies like The Shawshank Redemption and Cool Hand Luke. What is happening and has happened in the past is that prisoners in the penal system are allowed to do work but are paid either nothing for this work or a few pennies an hour. We’re all aware the United States incarcerates far more of its population than any other country in the world and that we largely use private contractors to house these prisoners. These private contractors get your tax dollars to run the prisons and operate on a profit system. They want more prisoners because that accrues more tax dollars into their pockets. The problem here is that they are using those prisoners to do the work in the prisons and additional work outside the prison. This avoids payment to contractors who would otherwise be doing the work in the system and generates further profits for work done outside the system. There are a number of questions these practices bring up. Q1: Is it right to use prisoners as essentially slave labor because they have been convicted of a crime? A1: If you want prisoners to work then pay them a fair wage for their work. That’s capitalism. Certainly doing so would drive up the cost of incarcerating people but I think the reasons I’m going to enumerate in answering the other questions fully justifies such an expense. Q2: Is it right to pay private prison contractors money for things like laundry service when the prisoners are providing it essentially for free? A2: I’m absolutely in disagreement with this practice. If private prisons are going to use prisoners as slave labor then the government should not be paying the private company for the services rendered. The state is paying the prison to feed, cloth, house, and otherwise take care of the prisoner. The private company should be doing so out of the money paid to them from tax dollars. Q3: What effect on other companies does using prisoners for work have on the economy of the region? A3: This is the answer that goes to the very heart of the problem from a capitalistic point of view. Slavery was terrible for the economies of the southern states for the simple reason it took jobs away from otherwise able workers, it stole profits from companies wanting to provide the service that slaves did, and slavery worked against innovation and technology. For the exact same reasons we should not be employing prisoners to do work for free or for ridiculously low wages. Every service a prisoner provides is work that could be done by an able-bodied person and profits that could be made for the company employing said person. I’m not opposed to prisoners working but they should be paid fair wages for said work. This has additional benefits. It gives prisoners a sense of worth and accomplishment in finishing tasks. It gives prisoners money to accumulate for their eventual release which makes their rehabilitation into society significantly less difficult. 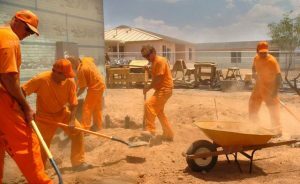 Prisoners should also have access to educational material so that they can, should they so choose, improve their chances of getting gainful employment when released. Finally I’m opposed to using prisoners as slaves simply on ethical grounds. It is wrong to force another person to labor without wages under any circumstances. Prisoner or not. Should prisoners be paid fair wages for their work while incarcerated? No. They committed a crime and work without pay is part of the punishment. Absolutely. The work and wages both do society and the economy of the region good. 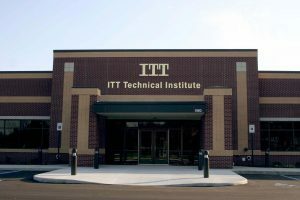 There’s an extremely telling news item this morning about ITT Technical Institute and judging by the comments I’m reading, most people don’t understand why the news is important. 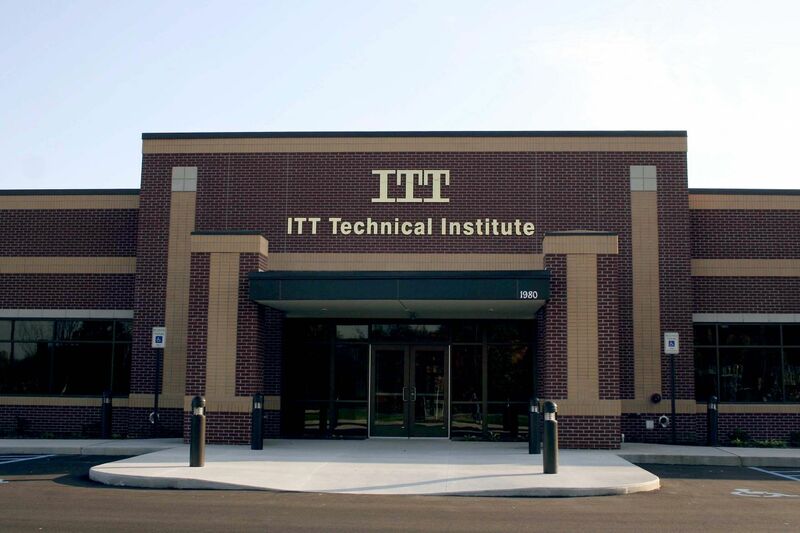 In a nutshell, ITT Tech is a For-Profit educational institution. The government has accused them of fraud and deceptive practices. The school looked into ways to defend against these charges and decided that their only choice was to shut down operations at their 130+ campuses. This after a series of lawsuits and federal raids. What I’m seeing in the comments section is basically two ideas. The first trend is that it’s about time the government shut down this institution that was preying on young people and giving them false hopes and a sub-par education. That this is the role of government and they should be shutting down more such schools. The second series of threads is from those who think this is an example of overbearing government persecuting the school. These people argue students are responsible for signing up for the classes. No one forced them to take out loans, which are defaulted at an alarming rate. Both points of view have some merit but I think miss the real problem. The government didn’t shut down ITT for their practices. Those investigations are still ongoing. The government didn’t shut down ITT at all. What the government did was tell ITT they were no longer eligible to receive government backed loans. Once ITT could no longer get such loans, their only choice was to shut down operations. The lesson from this? The government, essentially your tax dollars, was completely and totally supporting ITT and, in fact, almost the entire For-Profit educational system. That’s what is wrong. That’s the root of the issue. There’s nothing wrong with For-Profit educational institutions. If the government didn’t get involved by giving out trillions in student loans then the successful schools would be those that provided their students with a quality education at a fair cost. Those would have been the schools that attracted the most students because of fair prices and good education. That’s capitalism in action. What happened is shady institutions interested in taking government money with little or no obligation to the students became dominant in the industry. Students had, and continue to have, little choice but to attend a school that is interested mostly in gleaning profits from government loans, not providing a quality education at a reasonable price. There is far more money to be made fleecing the government. That’s the problem. The fact that ITT Tech has to shut down in the face of the loss of government money proves the point. It’s not the government’s job to decide which business should survive and when it does so it causes far more problems than it solves. The problem it is trying to solve is getting young people an education and allowing them to enter the workforce. It’s a noble idea but it causes huge problems. Let financial institutions loan money to students to attend such schools. These institutions will only give loans to students attending schools that have quality programs because the financial institutions have a vested interest in getting their money paid back. Unlike the government which just collects more tax dollars and rolls right along.